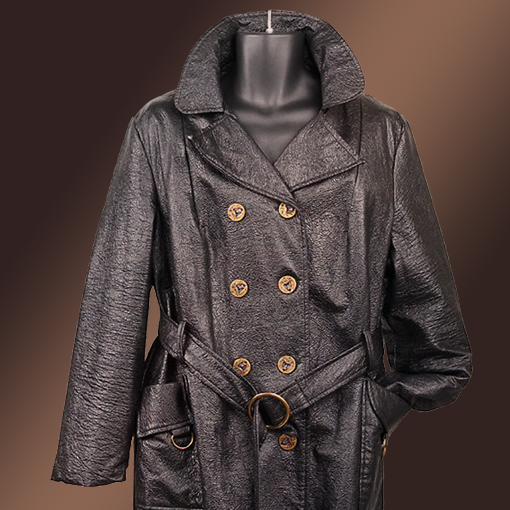 Comfortable and practical leather jacket will last much longer if you do not forget about the rules of care for her. Broad shoulders breathable cover and temperature not above twenty degrees this will help the garment keep its shape, and the timely and proper removal of dirt will allow the jacket to look good and a few years after purchase. Buying a leather jacket, read the instructions for caring for it. As a rule, these recommendations can be found at attached to the lining the label. Familiarization with the care tips will not require much time but can save you from mistakes. Thus, in the processing of jackets, decorated with panels made of other materials, do not apply cleaning product on decorative pieces of clothing. In addition, the composition used for the care of one of the skin may not be suitable for other species. New leather jacket often has a characteristic smell, which can be removed using pre-ground coffee. Spread the garment on a flat surface and sprinkle dry powder. A day shake and coffee with a soft brush with a round cross section pile. Do not use this method for odor control with light leather, which can be traces of coffee. Before the first time to wear a new outfit, treat the surface with coats of protective water-repellent composition. Impregnated in this way the jacket will be less to get wet, and contamination that can appear on it in socks, is easier to remove from treated surfaces. It is best to use protective compounds, the manufacturer's recommended jacket. If you are unsure of the quality of the selected funds, try it on a small area of skin located on the inner side of the jacket. A suitable bending in the lower part of the product, a wide margin or the inner side of the cuffs. Despite the abundance of protective spray intended for the treatment of leather, clothing made of this material is not recommended to fall under a heavy rain. If this happens, gently straighten the coat and remove water from the surface with a soft cloth. Will doushite clothes at room temperature by hanging it away from the sun, radiators and heaters. If the jacket surface is dusty, clean it with a dry soft brush or sponge. If the clothes are made from a porous material, should regularly do this procedure. The body of the jacket has retained an attractive appearance for as long as you don't wear it, unfold it on a wide coat hanger and leave in a well ventilated dark room with humidity in the range of sixty to seventy percent and the temperature above twenty degrees. Can wear on leather cover from a material that breathes well.